Your visit to Lake Okeechobee will not be complete if you do not go on an airboat tour. If you have to prioritize one thing, it is exploring this big lake by riding on a speedy airboat. While there are a lot of activities in and around this lake, riding this watercraft is the best way to breathe in the raw beauty of Lake Okeechobee. There are three important reasons why you should go on an airboat adventure in Lake Okeechobee. Let us start with the breathtaking views. Lake Okeechobee boasts of great scenery and a rare glimpse of aquatic and amphibian wildlife in their natural habitat. 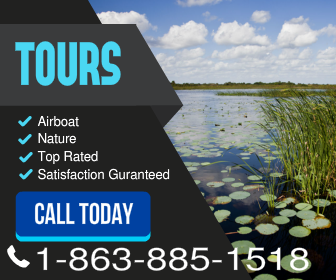 That alone is enough reason for you to go on an airboat tour. The passengers of airboats are usually seated in an elevated position – giving you great views of the surrounding area. You can see the great Florida Alligator and the various endangered species thriving in the Big O. It is also open in front and at the sides – which allows you to see, hear and feel the whole experience. The second reason to go on an airboat adventure is for the exhilarating ride. The airboats in Lake Okeechobee can go as fast as 50 mph. It can also be used for racing where it can go on top speeds of up to 130 mph. Of course, the former speed is the best for touring the lake so the captain will probably stick to that. Although the open boat and the speed might make it dangerous – we assure you that it is not. Our captain in the Big “O” Tours is Coast Guard certified guide. He is an expert in navigating an airboat and the waters of Lake Okeechobee. Finally, an airboat tour around the lake is both informative and enlightening. You get to learn about the history of Lake Okeechobee. You will be educated about the massive Hoover Dike is beyond the horizon. You will be told stories of how this lake was formed when the ocean waters receded beyond the state of Florida. And you will be enlightened by the state of the endangered species in and around the lake. The wildlife in Lake Okeechobee is quite diverse and some of them are deemed to be endangered animals. You can hear about the efforts of the government in preserving the natural habitat of these wonderful creatures. As you can see, much is to be gained if you go on an airboat tour. How exactly does an airboat work? This flat-bottomed vessel is thrust forward through an aircraft-type propeller. This is typically situated at the back of the boat. It used to be powered by an aircraft engine but issues with service and parts availability forced manufacturers to create recent models with V8 automotive engines. The horsepower of the engine is of varying degrees – depending on how it is intended to be used. All this photo says on it is 1947. But this airboat design is essentially the same at the first one built in 1943 by Hortin Jensen. Photo credit: USFWS – Bear River Migratory Bird Refuge. The airboat was invented by Alexander Graham Bell back in 1905 and was initially named “The Ugly Duckling.” This was meant to test engines but an aircraft pilot and engineer by the name of Glenn Curtiss decided to use it in the Everglades – including Lake Okeechobee. Since the lake has an average depth of 9 feet, the best way to navigate this body of water is through an airboat tour. 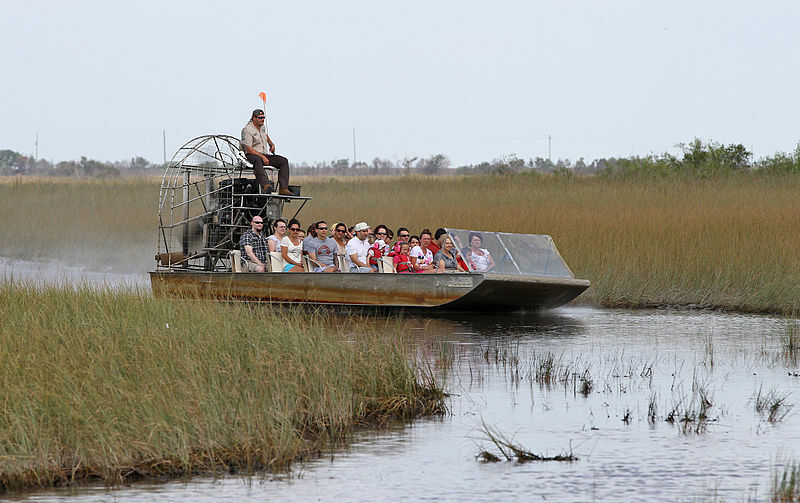 In Lake Okeechobee, an airboat is used for a variety of activities. It can be used for fishing, vegetation control, hunting, and of course, airboat adventures. This is a popular vessel used in search and rescue – specifically during floods or similar calamities. It proved to be quite useful in all types of terrain, may it be deep or shallow waters, land, or ice. So if you are intrigued enough to want to go on an airboat tour, get in touch with Big “O” Tours. We will make sure that your experience will not only be rewarding but enriching as well. 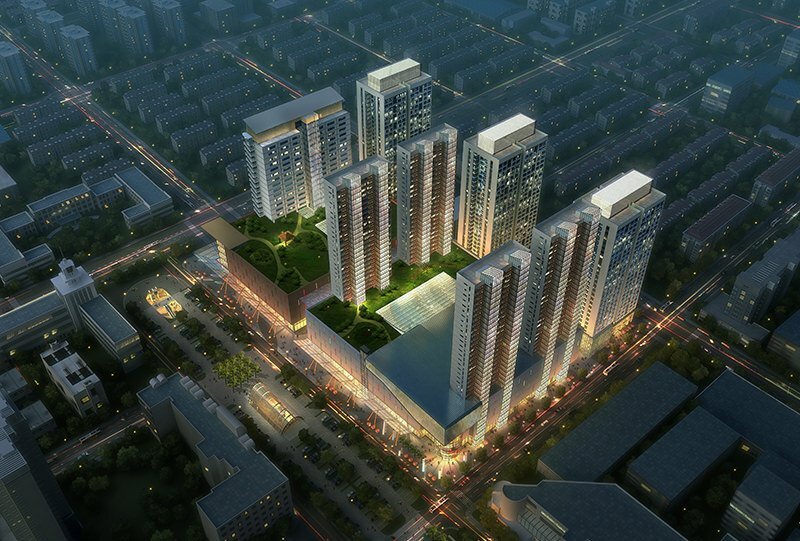 Contact Us to know more about our packages.